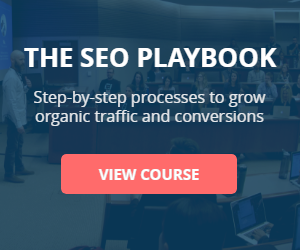 Note: "The SEO Playbook", my SEO training course will re-open to 100 more students on 10/29. See what other students are saying here. Link building is one of the most challenging aspects of SEO. But it also has a HUGE impact on where your site ranks in the SERPs. Backlinks aren’t going anywhere any time soon. I guarantee the top ranking pages will have a ton of links (assuming the keywords have significant search volume, of course). Landing authority links with "alternate content creation"
Let’s say I wanted to build links to my recently published on-page SEO checklist. My (hypothetical) list of prospects includes Point Blank SEO (by Jon Cooper) and MatthewBarby.com. Both of these are well-known SEO blogs, but who is more likely to link to me? In general, websites that have linked to you in the past are more likely to do so again. Why? Because they’re already fans of your content and therefore, are more likely to be interested any new content your produce (perhaps even enough to link to it). Now, imagine for a second that you had a fully searchable database of all the websites who’ve already linked to you and, therefore, are likely to be interested in your new content. Wouldn’t that be crazy powerful!? And here’s the good news: you can build this database using just two tools: Ahrefs Site Explorer and Google’s CSE. 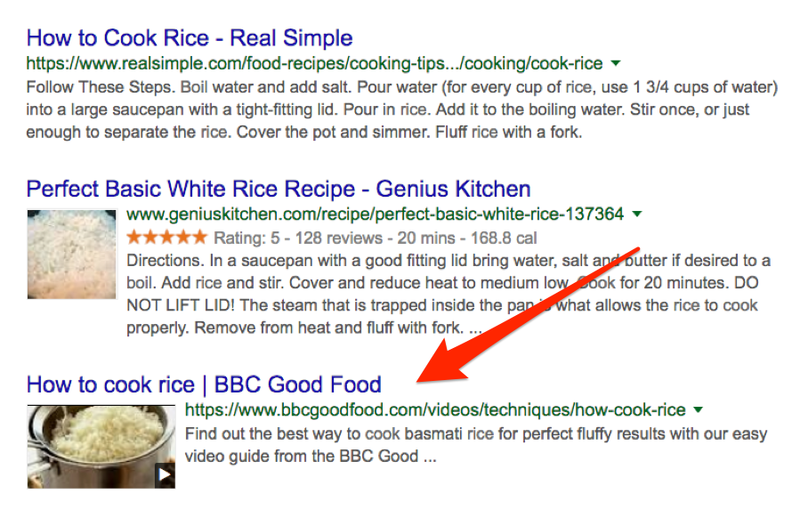 Find all websites already linking to you (with ‘natural’ editorial links). Load them into a custom search engine. Use the search engine to find likely link prospects for future content. Let me walk you through it from start-to-finish (note: you can read my complete Ahrefs review here). Export this file as a csv. Click “Import” and you should see all of the data from the csv imported into the tab. IMPORTANT: Don’t close this spreadsheet; you’ll need it again in a sec. Next, sign up for Google’s CSE tool and create a new search engine. On this next screen, it’s going to ask you to enter at least one website you want to search + also name your custom search engine. Go back to the spreadsheet and navigate to the next tab (note: this is labelled “1. First website”); you should see a value in cell A1 (hint: this should be formatted as “domain.com/*”). Copy/paste this into the “Sites to search” box on your custom search engine; also give your search engine a name. You now have a custom search engine that will allow you to search one domain from your backlink profile. But that’s not much use, so we need to add the rest of the domains. To do this, click “edit search engine” from the left-hand menu and select the search engine you just created. Under the “sites to search” section, click the “add” button to add more sites. Now, whenever you have a new piece of content to promote (i.e. build links to), you can use your custom search engine to search for prospects who have written about that topic before. Tip: This link building tactic becomes more powerful as your link profile grows because you have a larger database of websites to search across. If you only have a small number of sites linking to you, use semantic keywords to widen the pool of potential link pospects. Google is telling us it sees those variations as semantically similar to the main query, “on-page SEO checklist”. Make a list of any new related keywords and search across your custom search engine with those terms to uncover additional link prospects. NOTE: All of these results are solely from the pool of sites entered into your custom search engine (i.e. those already linking to you). This will not search the entire web. Now you know exactly who to promote your post to. You’re not the only person in your niche actively trying to build backlinks. In fact, I’d be willing to bet that most of your competitors are actively investing in link building, too. They may even have built a ton of links already. And, believe it or not, this is actually a good thing. Why? Because they’ve done all the hard work for you; all you need to do is to replicate their link profiles. I use the RLR technique for this (learn why it’s called this and get access to the competitor link tracking show below, here). Let’s walk through the basics. It’s now a case of sifting through these backlinks and trying to figure out how your competitor is attracting these links. NOTE: I dedicated an entire post to this link building strategy, where I go into much more detail regarding a number of tactics for finding and stealing competitor backlinks. I recommend giving it a read! In essence, once you’ve identified the methods your competitors are using to acquire backlinks, it’s then a case of replicating their tactics. For example, let’s assume your competitor was acquiring a lot of links from guest posts. You could simply round up a list of prospects (using Ahrefs) then ask if they’d be interested in a guest post from you, too. It’s Robbie here from RobbieRichards.com. I was just reading a couple of posts on your website and noticed [COMPETITOR NAME] wrote a guest post for you a while back. I loved his tip about [INSERT PERSONALISE CONTENT HERE TO PROVE YOU READ THE POST]. Are you still accepting guest posts? If so, I’d love to write something for you, too. I have a ton of ideas, so just let me know and I’ll send them over. 866 referral visits and 68 new subscribers (7.85% conversion rate). Broken link building is nothing new. It’s been around for years. And it’s a tried and tested link building strategy. 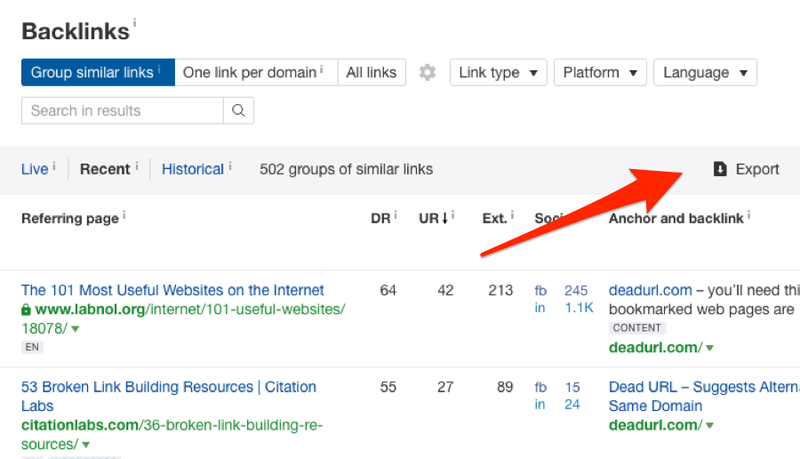 CitationLabs has a huge list of link building resources here. But, resource #19 on the list no longer exists—it’s a broken link. Note: You can use LinkMiner (free Chrome extension) to instantly find and highlight all broken links on any webpage. This is how I found this broken link. So, how could you capitalize on this? It’s Robbie Richards here. How are things? Just thought I’d give you a quick heads-up as you may want to fix it? BOOM...you just landed a link (probably). Because this broken link has 9 referring domains, you can also contact those websites and suggest that they replace the broken link with a link to your website. Note: Some broken links will have 100’s, sometimes 1000’s, of referring domains. While this process does work, it is pretty damn slow and inefficient. Let’s say you were trying to build links to my website, which is about SEO (obviously). You would start by gathering a BIG list of resources/links pages in the SEO industry. You can then scrape these results using LinkClump or a similar extension. I also recommend selecting “URLs only” under the advanced settings, too. Otherwise, it will copy both the URLs and titles. Now, using LinkClump is as simple as dragging with your left mouse button + Z (or whatever shortcut you chose in the settings) over the links you want to copy. This will get you a nice neat list of pages. You can then simply paste them into a spreadsheet. Note: I also recommend Citation Labs Link Prospector. It isn’t free (it costs around $5 for a scrape) but it is a great tool that makes scraping thousands of results from Google super easy. Why are we looking for “resource” pages? Because these types of pages usually link out to tons of external resources. And, unless people make an effort to keep them up to date, they’re usually full of broken links about a particular topic! 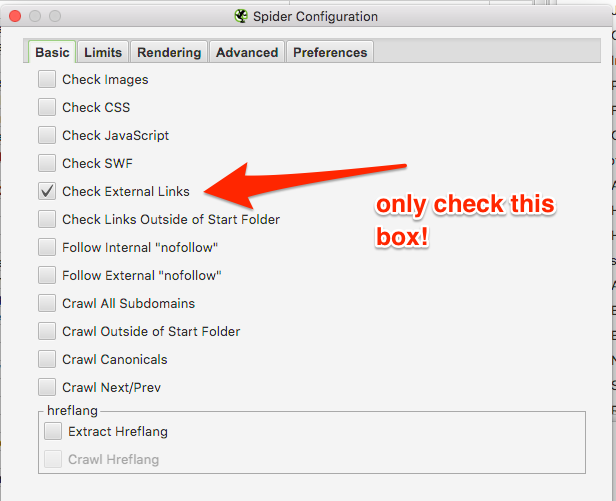 Next, you want to run all of the web pages (extracted from Google) through Screaming Frog, to find any external broken links on the pages. 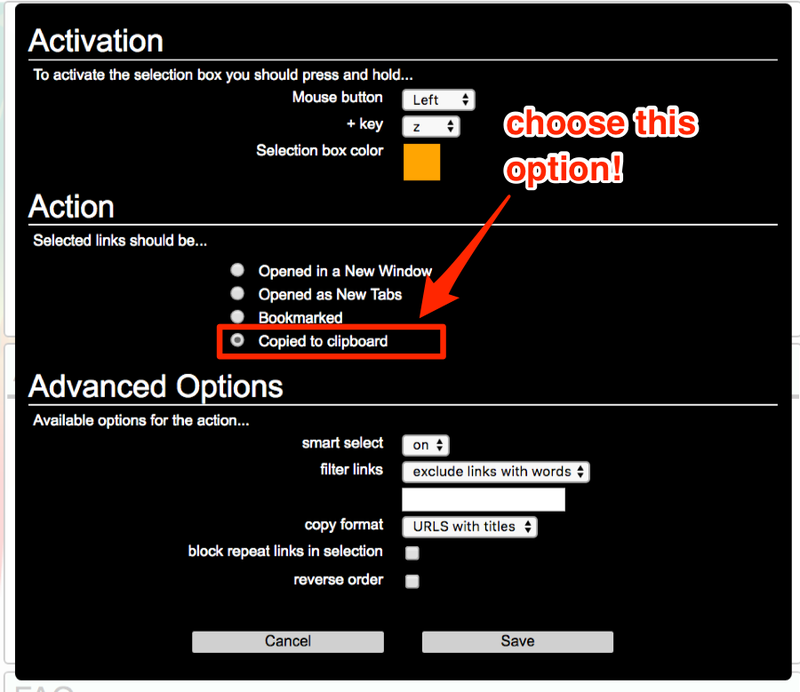 And tick the “Always follow Redirects” box, too! Let it run until complete. This will export a CSV will all the broken links. But, you still have no idea how many inbound links are pointing to these pages. This is where Ahrefs comes in. Copy/paste the broken links from your CSV file (200 at a time) into Ahrefs’ Batch Analysis tool. Sort by number of referring domains. Now, it’s simply a case of looking through the list and finding a page that is relevant to your website (i.e. covers a similar topic). Hint: Wayback Machine is your friend, here. Once you’ve found a broken page that looks promising, recreate the content on your website. IMPORTANT: For this technique to succeed, you NEED to be asking people to replace the link with a similar link. If you ask them to replace the link with a completely different link, it ain’t going to work! Work your way through the list, find the contact information for each website (here’s a great video on how to do this), and reach out to each site to suggest your broken link replacement. You can also sometimes find broken links with a TON of inbound links using Ahrefs. Very simple, but very effective! Most people stick to infographics, “ultimate guides”, and other similar kinds of content when trying to build backlinks. Did you know that free tools are just as effective, if not more effective, at attracting links? Don’t believe me? 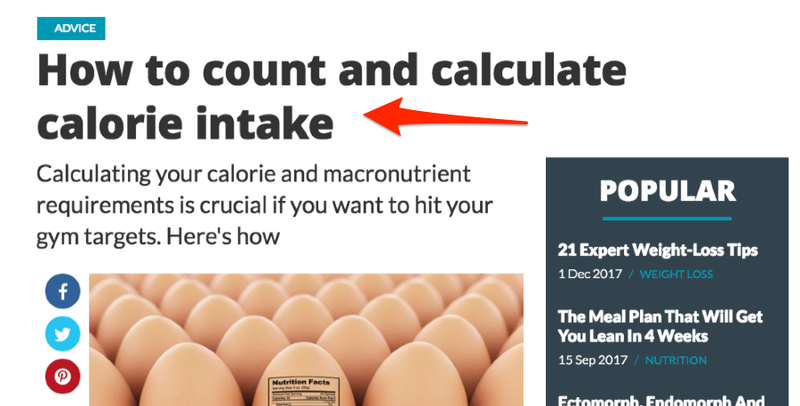 Try throwing that calorie calculator into Ahrefs. That’s 5K+ backlinks from 1,270 referring domains! But, the question is, how do you actually build backlinks to free tools like these? Resource/links pages are web pages that list—and link-out to—resources and tools in your niche. They’re created with the sole purpose of providing links to useful resources around the web. This makes them a great link target, as they’re usually responsive to pitches. Let’s say you were trying to build links to the aforementioned calorie calculator. It’s a fantastic guide and is well-deserving of a place on any fitness-related resources page. Note: Basically, you just need to add a keyword related to your tool (e.g. health, fitness, paleo, etc.) to the search operators. You can find hundreds more search operators here. You can then scrape these using LinkClump. I’m reaching out because I recently created a free calorie calculator (here’s a link: http://www.calculator.net/calorie-calculator.html) and I was hoping you might add it to your list of paleo-related resources? Most tools make solving a problem easier. Without such a tool, you could have to do some pretty complex math yourself! But...there are still plenty of posts talking about “how to count calories” the hard way. These are a prime link targets. Why? Because your tool is genuinely useful for the people reading these posts, as it saves them time and solves their problem. Ahrefs Content Explorer offers a great way of finding link prospects. As you can see, there are over 12,000 articles with the phrase “how to lose weight” in the title! That’s a LOT of link prospects! I recommended filtering these down to only the best prospects. I usually do this by adding an organic traffic filter so only pages with 500+ organic visits/month are shown. It’s then simply a case of sifting through the results and looking for solid link prospects. This will usually be pages that talk about calorie counting (or whatever your tool is about) but don’t link to a tool that solves the problem. I’m reaching out because I just read your post about how to lose weight and, well, that is definitely one of the most in-depth guides I’ve ever come across. You really nailed the process! Also, I noticed you talked about the importance of counting calories (which, I agree, is important). But, as you know, this can be quite difficult to do, as it involves some pretty complex math. That’s why I wanted to quickly reach out and let you know about a free calorie counter tool that I’ve just created. Basically, you enter your details - height, weight, gender, fitness goals - and it spits out EXACTLY how many calories you should consume each day. I would love to get your feedback on it and, if you think it’s useful, perhaps you could add it to your guide? 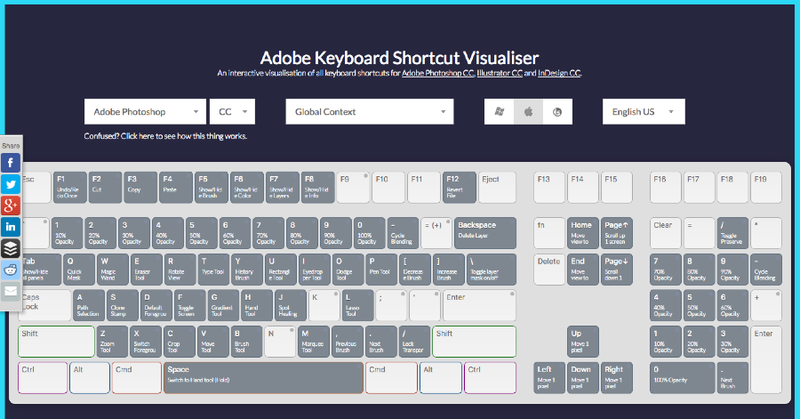 I think it would be super-useful for anyone reading that post! No matter how great your free tool happens to be, it’s likely that similar tools already exist. For example, a simple Google search for “calorie calculator tool” returns over 600K results! That’s a LOT of calorie calculators! But, luckily, competition is a good thing when it comes to link building, especially if your free tool knocks the competition out of the water. Why? Because this makes it a prime candidate for shotgun skyscraper outreach. Let’s go back to the 600K+ results for “calorie calculator tool”. Most of these are, as you would expect, calorie calculators. So, let’s use Linkclump to gather these into a nice neat list. Next, paste this entire list into Ahrefs Batch Analysis tool, then sort by number of referring domains. This will reveal similar tools that also have a TON of backlinks. Not quite as good as yours (note: you should also make a note of the reason—e.g. poor design). It also has 338 referring domains! This is a GREAT shotgun skyscraper prospect! When you have a list of similar tools that fit the bill (i.e. are not quite as good as your tool AND have a ton of backlinks), export the backlinks for all the links using Ahrefs Site Explorer. 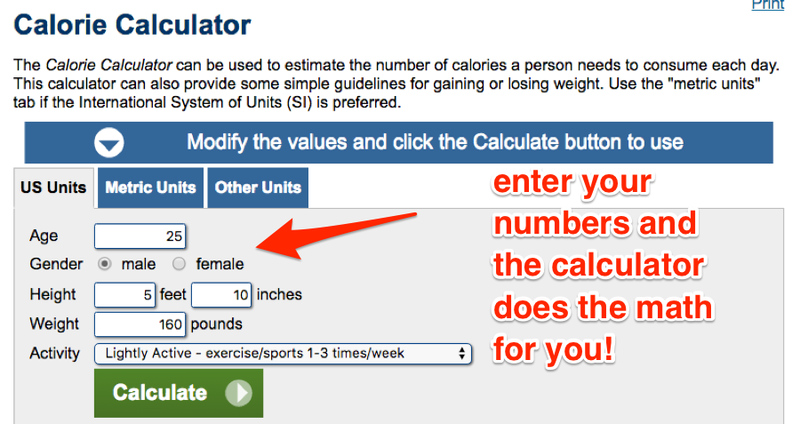 I just thought I’d let you know that this calorie calculator is much better: [INSERT LINK TO YOUR TOOL]... it looks a lot nicer and is generally easier to use. Might be worth swapping the link out for that tool? Let’s do a quick experiment. Go to Ahrefs Site Explorer, paste in your root domain (e.g. 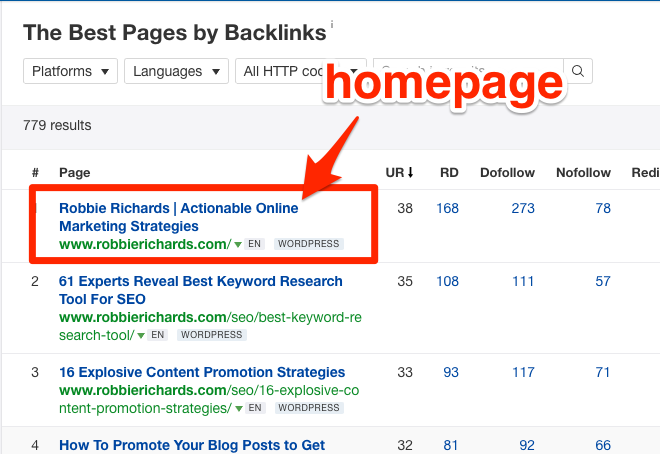 robbierichards.com), then click the “best by links” filter from the left-hand menu. Which page on your site appears at the top of the list? If not, then apologies…my experiment backfired. But, for most websites, the homepage isn’t really the page you’ll want to attract visitors to. It’s much more likely that you want people visit your blog posts, or perhaps your product pages; the homepage is usually just a gateway page for the real meat of the website. If this is the case, this “link juice” is wasted pointing at your homepage. I mean, it would be much better if the links went directly to the pages you want to rank, right!? Well, here’s the good news: it usually isn’t that difficult to get the link changed to a more appropriate page. But first, you need to find out who is actually linking to your homepage. It’s only worth making the effort to convert the links to deep pages if the links are dofollow, so it’s worth adding a “dofollow” filter, too. NOTE: I did this and it left me with 200 links. It’s now a case of looking through the links and identifying those that make sense to change to deep links. In general, you’re looking for links that are less than optimum (i.e. they’re linking to your homepage when it would make much more contextual sense to link to an actual blog post or product page). However, right below this link, there’s a screenshot of my blog post about increasing website traffic. I appreciate the link but personally, I think it would make much more sense to link directly to this post rather than my homepage, as this is clearly what the post is talking about. Let’s ask if they’d be willing to change it, shall we!? However, I noticed that although you mention a particular blog post of mine (the one about how increased website traffic by 272%), you actually linked to my homepage rather than the blog post itself. Any chance it would be possible swap the link out for a link directly to the blog post instead? No worries if not, I just think it’d make more sense in the overall context of the post (as people may be interested to read that post). Either way, have a great week! Not everyone will change the link but hey, even if a few people do change it, it may be enough to give that post/page a significant rankings boost! For anyone who has ever tried to scale link building efforts to a deep product page of any kind, it’s easy to see the potential upside here. Your competitors are actively building new links to their most valuable content. Note: Beardbrand has the highest number of referring domains (96) pointing to it. It also has the highest UR in the top 10 results, which is driving the #1 ranking position. This is where they are now. We want to understand how quickly they are building new links to create more page-level authority and remain in the #1 position. Two new links - only one looking topically relevant. But, this doesn’t tell us much. We can see 6 new referring domains in the past 30 days. Apart from the low DR link from beardshapeup, the quality and relevancy of the links look pretty low. Important: Pay closer attention to the QUALITY and RELEVANCE of the referring domains. You can have 100 poor quality links pointing to your page and it won’t move the needle. But, if you have 5-10 med-high DR links from industry-specific sites, it’ll have a big impact. Looking at the data broken out over the last 60 days, it looks as if beardbrand is only getting a couple new links a week to its beard oil product category page. And, only a small percentage of these are even relevant. If I was setting up a link building campaign for a beard oil category page, I’d be trying to build 15-20 quality links to the page in the first 60 days, and then acquire new links at a rate of 2-3/month to remain competitive. Nearly all of the content on the web is the same…it’s written blog posts that are made-up of mostly text. This means if you’re an auditory or visual learner, well, you’re flat out of luck! Nope. It’s just written blog posts, and that’s it! So, how can you get links from these high authority sites to “ultimate guides”? Simple...convert that content into a different format (aimed at different types of learners) and give it away for free. Let’s say you had an ecommerce website selling rice cookers. 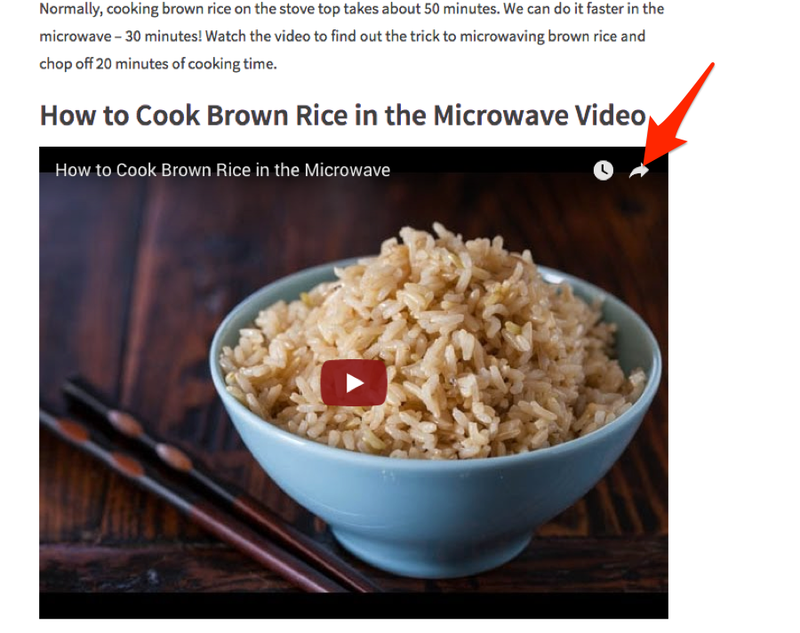 And you wanted to build links to the rice cooker page. Straight away, you can see that the SERPs are showing video content—this shows that the people searching for this term really want to see a video. That’s why they have a video showing how to cook rice on their page. This means they’re not catering to different learning styles. And in this example, they’re not providing the content in the format that people really want to see! Most of them will probably give you a link without you even having to ask. But, how do you do this at scale? First, identify some informational terms (e.g. “how to X, ultimate guide to X, beginners guide to X, etc) related to the content/website you’re trying to build links to. Next, search Google for these terms and scrape the top 10-100 results (with Linkclump). This will give you a nice neat list of results. You can then paste into Ahrefs Batch Analysis tool and sort them by referring domains to find the most authoritative pages. Next, you’ll want to check each of the pages manually to see if they’re catering to different learning methods—if they aren’t, note them down. BUT, this page IS NOT catering to different learning methods, as there is no video or audio aspect to the post. This is a GREAT prospect. Note: There are plenty of other posts like this, too. Keep running through the results from the batch analysis tool and continue to note down any pages that fit the bill. Finally, create a video/audio version of each post (or simply create ONE video that would feel perfectly at home embedded in all of the posts) and send it over to the blogger/webmaster. I’m 100% happy for you to add it to your post (if you would like?). I think it would make a really nice addition and help out folks like myself who are visual learners. Usually, there’s no need to mention links at all. 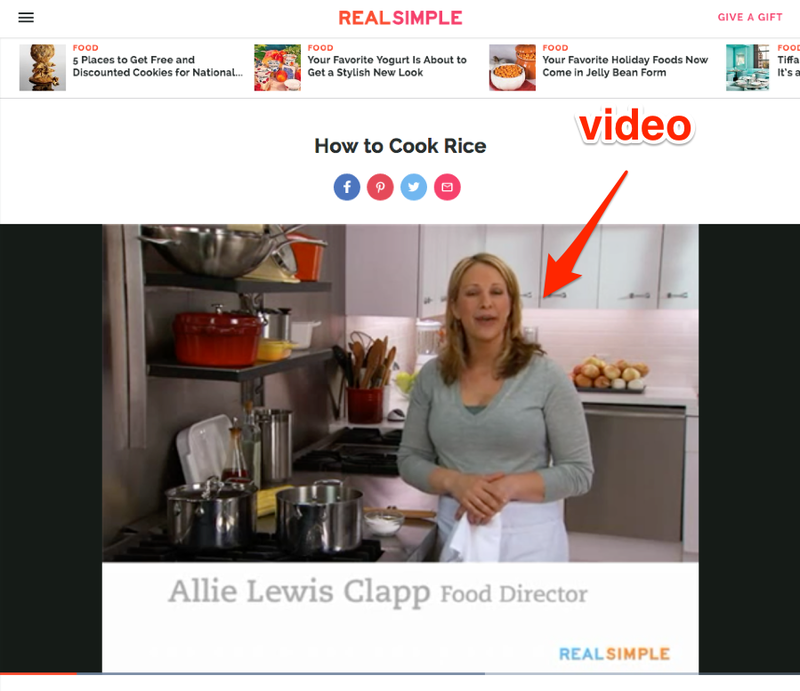 If they do choose to embed your video in their post, 90% of them will add a link without the need to ask. Note: I did this recently for a client (in the blogging space) and our conversion rate was roughly 5%. Do you have a lot of high-quality imagery on your website? I’m talking infographics, photography (that you own the copyright to), diagrams, screenshots, etc. In that case, I have bad news: you’re probably a target for image theft. IMPORTANT: You MUST own the copyright to these images; this won’t work if you’re using an infographic/photograph/diagram that isn’t yours. Let’s assume we were doing this on behalf of Brian Dean (i.e. Backlinko). Most of the time, bloggers will link to the original source of the infographic when they embed it on their own website. But because some bloggers won’t remember to do this, there are probably a fair few links we can reclaim. I’m going to add this link to a Google Sheet (make a copy here) along with any other images/graphics on Brian’s website that I feel are highly-stealable (note: this is just to keep track of the images for the next stage of the process). Next, we need to find websites that are embedding these images without giving us credit (i.e. without linking. They both work pretty much the same, but let’s use Google images for this example. Finally, you need to sift through these links and check they’re giving you credit for using your image(s). This can be done by searching for your domain within the source code of each page. But if you find a website that isn’t giving you credit, reach out to them and ask them to add a link. I’m reaching out because I noticed you used one of my images in this post: [INSERT POST URL]. Unfortunately, however, you didn’t give me credit for the image. I’d really appreciate it if you were able to add a source link below the image; could you do this? Guest blogging has been met with heavy skepticism recently. I’ve written several guest posts for high authority sites, including this one on Digital Marketer. And, this guest post for Sumo. That’s an insane 13.79% conversion rate! Guest posting also forms the foundation of most tenant SEO strategies. Basically – you use guest posts on high authority websites to rank for competitive keywords you couldn’t realistically target on your own site. This can be an extremely powerful SEO strategy for new websites, or companies trying to compete in insanely competitive industries. 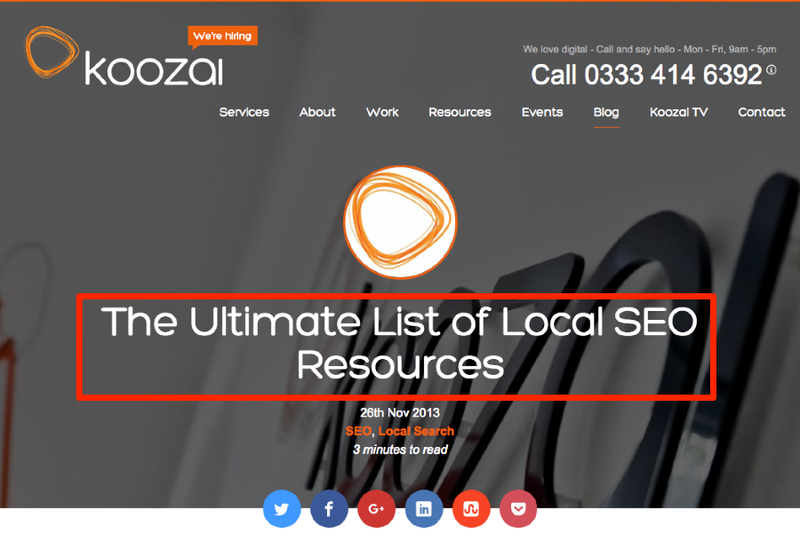 Steve Webb wrote this SEO audit article on Moz to rank for the highly competitive search term “SEO audit”. This article has been king of SERP mountain for over 4 years! Steve used the Moz domain authority to rank for a keyword he would have otherwise had no chance ranking for on his own site, Web Gnomes. I bet this guest post is a healthy meal ticket for Steve – drives a boat load of qualified leads to his agency. Matt Barby used this strategy to get a client in the app development software niche ranking for a massive keyword “app makers” (22,000 monthly searches) by targeting it on the Business News Daily website. The results were staggering: 74,000 referral visits and close to 4,300 user registrations! Basically, we need to find websites that (a) we want to write for, and (b) accept guest posts. OK, let’s go over each of these tactics one by one. We can take this a step further using the tild (~) sign. This will help us return guest blog opportunities for sites using synonyms of of our target keywords. If you read popular blogs in your industry you will have a good idea who the prolific guest bloggers are. For online marketing, these names include Brian Dean, Neil Patel, Kristi Hines, Marcus Sheridan, to name a few. Add these sites to your list of guest blog targets. This will show you pages that link to your competitors website + also contain the phrase “guest post” – these pages are usually places your competitor has submitted a guest contribution. Note: Pay attention to the keywords and topics your competitors are targeting in their guest posts. Are they using tenant SEO as part of their broader search strategy? Now that you have an extensive list of guest post targets, it’s time to reach out and pitch to them. After you have engaged the prospect it’s time to reach out and request a guest post opportunity. First, I just want to say I’m a big fan of [INSERT BLOG NAME]. Anyways, I’m writing to you today because I’d love the opportunity to contribute a guest post to [insert blog name]. I have a personal SEM blog that will give you an idea of the style and quality of my writing. You can view some of my recent posts here [insert blog URL]. Instead of simply listing guest post ideas, you can take it a step further and include a link to the complete article you’ve written. Some bloggers prefer this because they don’t have the time to communicate back and forth with everyone pitching to them. 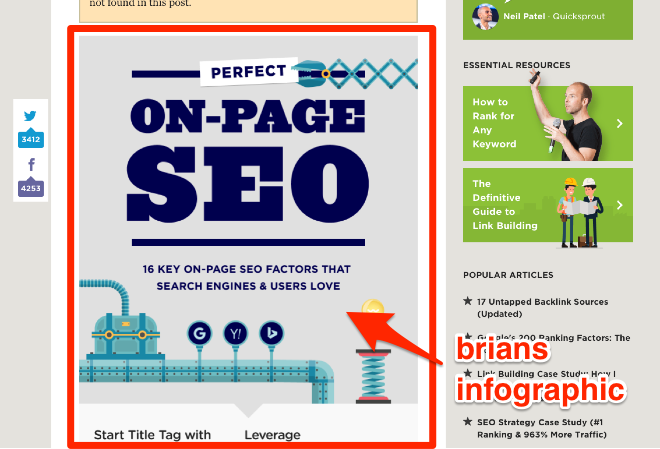 The definitive guide to guest blogging written by Brian Dean over Backlinko is one of the best posts I’ve read that covers this link building tactic, and has heavily influenced my guest posting strategy. But how do bloggers find these sources? I looked at the first 2-3 results and decided that the Worldometers page was the best resource – this is the one I referenced (and linked to) above. If you can rank for these kinds of “reference” terms, chances are that you’ll attract backlinks on a consistent basis from journalists and bloggers seeking references for their own content. So, the first step is to build a list of these types of queries for your niche – I recommend doing this in a spreadsheet (or text doc) for simplicity. Next, throw your list of keywords into Ahrefs’ Keyword Explorer. It’s then simply a case of putting together a piece of content around this topic and ranking for it. Journalists/bloggers will then, hopefully, reference (and link to) your post on a regular basis without the need for any additional work. Brian Dean’s list of Google ranking factors is the perfect example of this technique in action. It currently has an insane 14,000+ backlinks from almost 2,750 referring domains! When it comes to link building, a lot of businesses jump straight into creating new campaigns with the single goal of landing BIG wins. (i.e. backlinks from massive sites like Washington Post and NBC). While these links are incredibly valuable, they require a lot of resources - time and hard work - and the success rate is very low. Before you go after the big fish, make sure you’ve first collected all the “quick-win” link opportunities. This will help generate faster results, and build trust with new clients. One of the fastest ways to do this is recover lost link equity from 404 pages. Websites change all the time. Products come and go. Information is pruned. URL structures get updated. Content is moved around. All this movement can have a big impact on all the existing backlinks pointing to your website. If you created a piece of content that acquired a bunch of quality links, and then made a minor update to the post/page URL without properly implementing a 301 redirect, you’d waste valuable link equity. Therefore, one of the best ways to land quick link wins is to ensure you don’t have backlinks pointing to dead pages. The first 404 page in the list has 6 referring domains pointing to it. High authority backlinks like these are very hard to get even with great content and a dialed in outreach campaign. But, we managed to find them in a matter of seconds. Only the first two opportunities in this report are worth looking at closer. The others are low DR, and look completely irrelevant. Redirecting these types of links into other important assets on your site would do more harm than good. 301 redirect the 404 page into a relevant asset on your site. Ideally, a page/ post with some type of search traffic potential. Reach out to the owner/ author of the site linking to your 404 page. Ask them to update the link. Since 301 redirects leak little-to-no link equity, option #1 is my preferred course of action. I feel you, but hear me out…. I’m absolutely not talking about spammy mass blog commenting here. In fact, this technique doesn’t involve leaving any blog comments at all, but rather utilising existing blog comments (on your own blog) to create a list of link prospects. Well, these people are clearly interested in what you have to say, meaning it’s highly likely that their blog (i.e. the site they linked to when commenting) is in the same niche. BOOM. Jeff also runs an SEO-related website. Scrape the websites of everyone who left a blog comment in the last 30 days. Check if they have any content on their website related to your niche (e.g. in my case, this would be SEO/marketing-related content). If so, reach out, thank them for the comment and ask if they’d consider linking to your post. I’ll use this blog post of mine (with 220+ comments) to walk you through the process. To get started, we need to scrape the websites for those who’ve left comments in (roughly) the past 30 days. This can be done manually but life is much easier with this Google Chrome add-on. It’s now a case of using the “site:” search operator (combined with a keyword related to the topic of your website/content) to find sites with content related to your niche. Definitely a great post, but it doesn't even touch on many of the blog promotion strategies mentioned in my post. I’m, therefore, pretty sure his readers would also get a lot of value from my post. It’s Robbie (Richards) from RobbieRichards.com. Also, I ended up reading your blog promotion case study on your blog. Really cool stuff…loved the tip about not focusing on vanity metrics. I, too, see so many people doing that! Don’t mean to sound cheeky, but is there any chance you’d consider adding a link to my post at the end of that article? I think it follows on nicely from what you had to say, so I’m pretty sure your visitors would find it interesting, too. Either way, have a great weekend. Keep in touch! This is not only a great way to build links but also, a great way to forge relationships with other bloggers. Pro tip: You can scale this strategy by creating a Custom Google Search engine similar to the one we created in the first link building strategy mentioned in this post. Quora links may be nofollow, but that doesn’t mean they’re worthless. Plug Quora into Ahrefs (to find the highest traffic threads). Search for a keyword related to your content (this will filter out relevant threads that have rankings and ongoing passive traffic). Write a top notch answer on the threads with lots of traffic. OK, so the first step is super simple; just paste “quora.com” into Ahrefs Site Explorer, then go to the “top pages” tab (under “organic search” on the left-hand menu). Next, enter a keyword related to your niche in the search box (note: the aim here is to search quora for high-traffic threads related to your industry). We now see a list of URLs (i.e. threads) on the site related to fitness — some of them have a ton of traffic! Plenty of search traffic (note: the ones near the top of the list in Site Explorer have the most search traffic). If you find a thread that fits the bill, answer the question yourself (note: make sure to answer with a well-crafted, useful response – this will increase the chances of your answer being upvoted and, in turn, the chances of you receiving referral traffic from the thread). It has 500+ visitors per month from search (from the US alone), only has 2 answers (none of which are particularly in-depth), and is clearly niche-related. Because Quora allows you to reference sources when writing your answer, it’s easy to link back to relevant websites when writing. This means that should we have a page on our website listing some great fitness-related subreddits, we could simply answer with a condensed version of that list and quote our website as the source. You can see that Rand’s answer is extremely thorough, useful and helpful, yet it isn’t overly promotional. He includes a link to a Moz blog post where appropriate, but also mentions other notable tools/sources, too. I’d be willing to bet that this drives a couple hundred visits per month to that blog post (if not more). He also gets a nice juicy link (albeit a nofollow one). Use the technique above to identify relevant high-traffic threads, engage in the conversation, and start driving targeted referral traffic to your site. Google Alerts is one of the most powerful, and often overlooked, link building tools you have at your disposal. If someone mentions your business name or website online, you likely want them to link to you. Google Alerts allows you to keep track of brand mention across the web (the idea being that you can reach out to them and request they add a link if they haven’t already done so). I’ll show you how to do this below. It’s pretty straightforward to set up Google Alerts; you simply enter phrases you want to be alerted about and, well, that’s it. In the Result Type box, select to receive alerts for everything. Next, choose how often you want to receive alerts. For me, the frequency depends on what I am monitoring. I usually selec once a day in the how often box. The Deliver To box lets you choose if you want alerts sent to you via email or RSS feed. For brand mentions, I prefer to have them delivered via email. NOTE: Ahrefs Alerts can also help you with this – it gives a few extra options compared to Google Alerts, such as specifying alerts where the keyword must be in the title tag, etc. Each time you brand or website is mentioned on the web check the source and make sure the site is linking to you. If they don’t provide a link reach with a friendly email to the webmaster requesting you link. I was checking out your site today and noticed that you mentioned my brand/post in [insert post name]. I appreciate the call out and wanted to ask if you wouldn’t mind linking back to my site [insert URL]. Expert roundups are one of the easiest (and quickest) ways to build backlinks and generate serious traffic to your site. Because you are featuring insights of influencers in your industry, those people (and many of their followers) are very likely to link to, or at least share your blog post across their social channels. Let’s walk through the process from start-to-finish. Link building tactics to focus on 2014? Are black hat link building tactics dead? How do you measure the success of an SEO campaign? These are all topics people in the SEO field would be interested in. Once you have a solid topic, the next step is finding experts to pitch. The easiest way to build a list of influencers is to identify the round ups already out there in your niche. Influencers that have already taken part in an expert round up will be more likely to respond to your pitch. Now, scroll through the post and add all the featured influencers to a spreadsheet. Tip: I use Voilanorbert to scale the gather of contact information. Add the name and domain of your roundup targets into a spreadsheet and save it as a .csv file. Let the tool run for 5-10 minutes and it'll go through and scrape the emails for you. Huge time saver! Pre-curated lists: Head over to Google and do a search for “top [kw] bloggers” and find pre-curated lists of influencers. Ahrefs Content Explorer: enter a keyword, then click the “who tweeted” button. It’ll then show you everyone who tweeted that post and also, tell you exactly how many followers they have on Twitter. Buzzsumo: Head over to Buzzsumo, select past year and the “influencers” tab. Enter a broad search term related to your niche or the topic of your question. I have put together a number of expert roundups for clients in different industries here and here. This process allows me to work faster and build a very specific list of outreach targets. It’s then simply a case of reaching out to everyone on your list and ask them the question you decided upon. The key here is to make sure that your outreach email is short, to the point and personal. Robbie Richards here, from robbierichards.com. I came across your LinkedIn profile today and thought I’d reach out regarding an expert roundup I’m putting together. I’ll include a link to your website and promote the article to my 35,000+ audience. Deadline for contribution is [DATE]. P.S. Here is an example of similar article I published (shared over 10,000 times). Thanks to Richard Marriott for the advice in his expert roundup post. In your spreadsheet, keep track of who you have reached out to and when you contacted them. It’s always a good idea to send a follow up email 1-2 weeks after your initial outreach. If there is still no response, reach out to them on Twitter. When you have your list of responses, it’s time to create your roundup post. Part 1: reach out to contributors, let them know the post has gone live, and ask them to share/upvote. NOTE: Also, make sure you mention the experts when you are promoting the roundup on social media. I noticed you also talk about [roundup topic] in this post [insert URL on their site]. Any chance you could drop a link to the roundup? This is another tactic where you can use Custom Search Engines to quickly build a database of experts who contributed to your roundups, and search across their sites for related articles. Now, enter search terms related to the topic of the roundup to find any contributor sites that have already written about the post and reach out to them with the template above. Blog commenting is a spam tactic. Blog comments are no follow. Blog comments don’t boost rankings. All of these arguments hold merit if you’re just dropping hundreds of blog comments to boost rankings. But, that’s not the basis of what we’re doing here. The process is simple: Identify high-traffic blog posts, and leave value-add comments that drive people back to your most relevant content. While this strategy might not open the traffic floodgates, it does provide a low-cost opportunity to get your content (and brand) in front of a very targeted audience. Scan through the list of results and see which ones have an active comment thread. If it does, put together a comment that adds value and insert a link to a relevant piece of content on your site. Tip: Focus more on the blog comment sections where the moderator is (1) actively responding to commenters, and (2) allows relevant link placements in the comments. This will not only improve the chances of your link being approved, but will also provide an opportunity to form relationships with industry influencers. This opens the door to guest post opportunities, and an increased likelihood they drop an editorial link to your content in the future. Video transcription can used as a scalable link building strategy. Experts and influencers in virtually every industry used video as medium to communicate their expertise. Transcribing the video content of influencers in your industry and publishing the content to your site is a great way to get links from authoritative sites that get a lot of traffic. It helps you get in front of influencers and stand out (you are helping them out). This makes it easier to build relationships. You can leverage their large social audience. If they share your transcription, you get more (targeted) eyeballs on your site. First, head over to YouTube and type the name of influencer in your industry. We’ll use Matt Cutts in this example. Make sure the video doesn’t already have a full transcription. This one doesn’t have one (bingo!). Once you have transcribed the video, it’s just a matter of reaching out to the influencer and letting them know. Matt Cutts has 352,000 followers, so any link promoted in one of his posts has the potential to send a ton of traffic to your site. Thanks again to Jason Acidre over at Kasier The Sage for introducing me to this tactic. Link building is definitely one of the most challenging aspects of SEO, but it’s also one of the most crucial if you want your website to rank highly in the SERPs. If you have had success with any link building strategies not mentioned in this post, please leave a comment below so other readers can benefit from your feedback. And thanks for the mention too! Thanks for the feedback! Glad you enjoyed the article. And, I just want to say, thanks for all the great content you’re publishing over there at Kaiser The Sage. Great stuff! Great article. I once spent like 10 hours per day to get every single link I could for my website. Not any more. I found that that 80/20 rule works for linkbuilding. Meaning 20% of highest quality links will give you 80% of ranking results. If possible, go after backlinks with 40+ DA….preferably 50+ DA. As you go up from there the authority passed on will increase exponentially. One of the best articles i read lately. Put everything in order. Thanks a lot! Nice guide Robbie and excellent detail, so very actionable for anyone following. Good work! Thanks for sharing these Robbie! These are all really useful ideas. I know I’ll be putting the Guest Post hack to work this afternoon. I especially like to see how you’re putting old tools to new uses (ie, Delicious) – very creative. Keep up the great work! Also, feel free to sign up for my email list. This is INSANE! Great tips and I just voted this up on Inbound. Man, you really write some crazy juice here huh! Thanks for sharing this and keep it up! Great post I’ll have to come back to it again I won’t lie I skimmed through it but will be back cheers some nuggets in there. Thanks mate! Any favorites in there? Hey Robbie, This is great info and thanks for buzzbundle. Thanks mate! Buzzbundle is a fantastic tool for both link building AND content promotion. Yeah, this is great stuff! Putting a few to work now. Awesome! Which ones are you implementing? Let me know if there is anything I can do to help you out. This is GOD of all articles I have ever read on Baclinks. Very innovative! Cheers Dheeraj. Glad you liked it! Let me know how the tactics work for you. Thanks for an amazing amount of work. Absolutely superb. This will keep me busy for a long time. Loved this post, gave some great insight… would you rate that the FBL niche of services is dead? Thanks mate! I don’t know a lot about the FBL, but I wouldn’t say it’s dead. Great post! Really looking forward to use your strategies in work! PS: You got some bad hyperlinks in Infographics section, pointing to your site instead of the sites you wanted to. Thanks for the heads up on the outbound links, I’ll get those fixed up. If you liked this link building post, hop on my email list, I’ve got some great posts scheduled to go out in the near future 😉 Cheers! Thanks Robbie, Great post thanks for sharing informative post. Hey Sonal, glad you found some actionable information in there. Feel free to join my email list, plenty more actionable content in the pipeline. Great round-up. I really like the first tip using Delicious. Thanks for sharing. Haha hey what’s up Jeffrey! I thought I recognized that picture 😉 Super small world. The Delicious strategy is great for both link building and content promotion. After all, best prospects are those that haven already engaged with content similar to yours. Look forward to speaking more in the future. Just signed up mate. Looking forward to more content. Cheers. great article, very good insights. The Chrome addon for image search is very helpful, and i found another plugin for TinEye, too. It’s called “TinEye Reverse Image Search”. Feel free to jump on my email list too. I’ve got a few posts in the pipeline that will compliment this post nicely! Just thought I’d ask – at the end you this (epic) post you have a call to action to subscribe to your email list… yet it is not linked to anything? That on purpose? Oversight? Great point. I need to make my email subscription widget “sticky”. I am also going to embed a subscription box within the content as well. I highly recommend the Yoast SEO plugin. Let me know if you have any questions about it. Just Cntrl+F’d for my name – Look like the comment I dropped last week didn’t get approved/hit the spam folder OR (and most likely) I accidentally closed the tab.. derp. Not nearly enough people have covered BuzzBundle, I did a tutorial on it last year but really didn’t serve the tool justice. 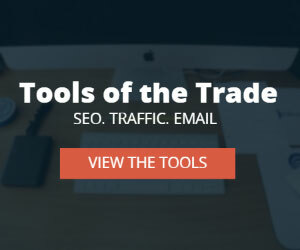 It’s been one of the best tools to garner traffic from Forums I’ve ever had and has created a LOAD of new link opportunities for me and a number of my agency’s clients. I went back through the comment log and didn’t see you in there. I’m guessing the accidental closed tab. All good. Appreciate the positive feedback. Put a ton of work into the post, so I’m happy to see so many people are getting value from it. BuzzBundle is fantastic! I’ve only been using the restricted free version and I’ve still managed to find both link building and content promotion opportunities. Really like the Rank Tracker tool in the SEO PowerSuite as well. Anyways mate, thanks for stopping by, talk to you soon! Also, feel free to hop on my email list. Plenty more to come! Awesome, glad you’re enjoying the content. Glad to hear it 😉 See you soon! Read full post and I learnt many things from here.. Thanks for this valuable post..
Great post. After doing only old school black hat SEO for the previous SEO company I worked for, I’v finally moved to a better place and need to plan an offsite strategy. You post was super helpful since I didn’t really knew where to begin and how to implement all those guidelines I’v been reading about in the past few years! Glad you enjoyed the post, Orly! Some really insightful and useful stuff here. Is it me or have they stopped you from suggesting posts in Scoop.it now? I guess you need a paid account then? Can’t see where you would do it otherwise. I suggested content using the steps outlined in the post. I have a free account. Excellent post Robbie, First of all i like to thanks for this post and secondly i like the info-graphic part..
i am always trying to do some kind of in-graphics and your post helped me a lot..
also i have bookmarked this page for future references..
Its a great article on this topic. I’ve bookmarked this website and will come back again in future for sure to read some more wonderful articles. Read the whole blog post,This is best link building strategy i’ve came across,i have already started applying these strategies and waiting for the results. Create a transcribe and get a link through it is really a great idea. I have never thought about it and never tried it. If you are in internet marketing industry, then you must have to find out leading people like rand fishkin, matt cutts, john muller and have to create transcribe of their video. It is a very unique technique to use. Wow, amazing article. Need to read more times. Thank You. It took me a good couple of hours to read this carefully. Nice work. The suggestion to transcribe the video logs to get backlinks is a nice one. Thanks! Cheers Josh! Glad you enjoyed the post. Its really effective if you know your competitor’s backlinks. When you know why they have higher PR than your then you can try to imitate them. It’s playing to the same level. Good god, Robbie. This article is incredible. I feel obliged to treat you to a fancy dinner after providing all that value. Seriously though, fantastic job and I’m coming back here constantly. Thank you! wow.. such an intelligent link building strategy.. I’m amazed about your delicious strategy.haha Worth following. Will definitely subscribe. 🙂 I have already bookmarked this post! I just love it! Thanks for your contribution. Such a great help. Hey great article, but one problem. When the page loads a pop-up comes up that blocks the entire screen and prevents scrolling. The top of the pop-up, including the close icon, was hidden. So I was unable to close this pop-up without zooming out the page significantly. I suspect most users would just close the tab. It’s a shame because you’ve got some great info here. Great share, Robbie. I will start the link building work for my website from now on. Hope I can get fast, secure and efficient links as expected. Awesome, Frank! Let me know if you have any questions along the way. Glad you enjoyed it Lucia! Great post,Robbie ! I love your innovative link building strategies…some of the best that I’ve seen on the Internet. I have read enough about this link building strategy and now its time for me to start implementing it on my website. Ideas are nothing without action 🙂 Let me know how you do! Hey Robbie, you’re now in my favorite SEOs list man, BTW I get links from subreddits from the sidebar, it’s dofollow and pass juice n authority. Any other recommended directory for link building, tried Dmoz many times but they never approve any link. Hey Hammad, I always start with local and niche based directories. If no luck, I’ll go for closely related shoulder niche directories. Very indepth article .High lites the knowledge needed to effectively accomplish ranking in the search engines via back links. Wonderful post, loved it. Links are still important and links from good quality sites are winner so these link building techniques will help anyone grow. But it is also important to build links in natural manner otherwise you may never know you might be the next one loser. This is really a good sight and its is full of information . I think I’m going to become Robbie’s biggest fan with amazing article like this. They really give me a lot to implement into our own marketing strategies. Eleanor, big updates to come 🙂 Stay posted. This is a mighty article. Such a huge list of probabilities for getting backlinks. Book marked it. Thnx a lot for sharing. Welcome Aarti! Glad you enjoyed it. An impressive list of tips, thanks for sharing. I will utilize this as my personal resource. I appreciate your effort posting and sharing your thoughts like this. Let me know how you go, Sapna! This is pretty old article, but I discovered it today only. Your are awesome! I have become your fan. No BS, to the point with exact action steps…. you rock. I am still new to this SEO and link building stuffs. This is not one time read. I have bookmarked this article so that I can keep coming back. This article is a complete course in itself on “link building strategies”. Thanks again for the good post. Cheers Salan, glad you enjoyed it. I’ll be updating the content soon. Thanks for the list of inforgraph submitting website. Though, this post has been written for long, but still very relevant for link building in present. I will work on inforgraph submission and see how that will help me. Thanks Saheed! I’m going to be writing a post in the near future showing the exact process I use to land links for clients on sites like Huffington Post and Lifehacker. Thank you so, so much for the great content you’re providing! I know first-hand how much work goes into posts like these – A LOT! You are a gem! I’ll definitely be coming back for more! Cheers Melanie! Stoked to hear you like the content. I’ll be updating the link building guide in the near future to include newer tactics I’ve been having success with. Keep an eye out! Nice post. 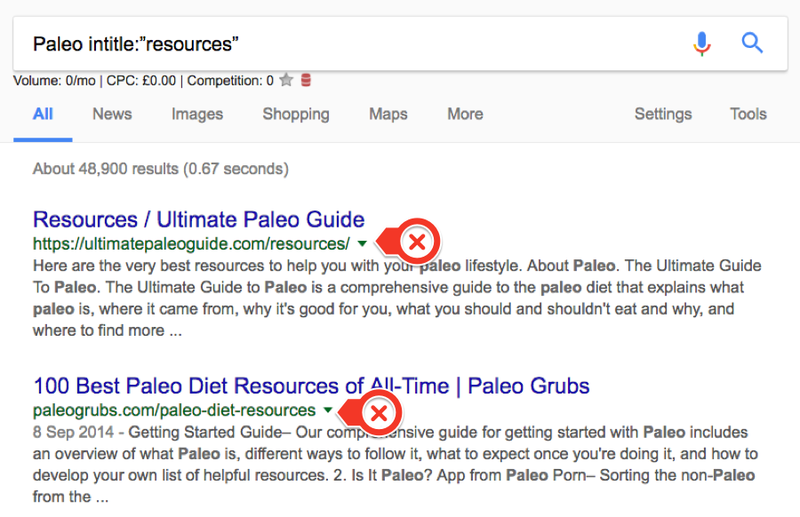 I tried some of the techniques and I see positive results on the Google serps. And that is what counts! Cool. Thanks Simmi! Look forward to hearing your results. I plan on updating that post in the next couple months. Hi there Venchito, believe me or not I consider this as the best link building strategy on WWW. Hey Patrick, it depends. What are you specifically wanting to quote and where? Its definitely a great article but i think little obsolete in 2017 as few links are not working like DMoz which is already closed in March 17 and #1 strategy in your list is “Delicious Link Prospecting” but that link is also not working. So a little time from your side will make this content revive again. You’re definitely right 🙂 I’m actually in the process of completely overhauling this article 🙂 Stay tuned! I came across your blog post and I wanna tell you that you did a great job !! Keep it up. I do really love helping people out and spread the knowledge so I do definitely love you blog now. Wow this is the best linking post I ever read I’m mad I didn’t found it sooner! I don’t know what to say. Are you taking interns by any chance? Not as this time Krinal 🙂 But – happy to answer any questions you have. Great post, I really enjoy reading it. But I bookmarked it and I’m going to return and visit it again! Yeah – I’ve been getting feedback that some of my content is a bit long. I try to make it the #1 resource on a given topic, but maybe I go a little overboard 🙂 Appreciate the feedback! These are really killer link building strategies. I liked Shotgun Skyscraper method. I’ve just skim throw the text and found the custom search engine technique is best for finding prospects. I will implement the techniques in coming days and let you know the results. I want to More Traffic for my site. Is there any technique to help to give me more and more Traffic. suggest me the best techniques. Nice post! its 2017 and these tactics are still working. Thanks for a great share. I know Link building is a core in SEO worlds and this article helps me to refine my knowledge and educate my clients. One question, Can I use Mailshake instead of Gmass? Best till date, One of the Killer Link Building Strategies has been listed here. Robbie, I appreciate your hard work you did in this post. I really like the image search process to find sites using our infographics. A question in regards to that though. I’ve reached out to a person using our infographic which they embedded in a post they made on LinkedIn and they just ignore my requests for a back link. What does a person do in a case like that? A great post and thanks for sharing, loved the way you explain the each and everything here. I will definitely try Video transcription and Reclaim links from stolen images. What are you views on Local Business Citations, Link Building with Social Bookmarking Sites and Personal Blog Networks? I use citations a lot for local SEO, in combination with other locally focused link building strategies. To be honest, I don’t really do much with bookmark or PBNs anymore. It’s always Ahrefs or some other tool we need to pay for. Any free tools we can use or are all your posts well designed affiliae marketing schemes. Good Lord! Hey there! You can definitely sign up for free versions of most backlink analysis tools. However, you’ll have limited data access. To your point about “affiliate marketing schemes”. I write content featuring the tools I personally use to run campaigns for personal and client projects. While they are paid tools, I don’t promote anything on this site I don’t use myself. I’ll take your feedback thought, and look into adding a section on some free workarounds. Appreciate the candid feedback! Great article on backlink. i have some query. 2. Does google consider nofollow backlink a ranking signal. No following spam links is a start. But, I’d remove them altogether. No follow links don’t really pass authority. But, they help balance out a link profile. Also – if a link drives good traffic, I usually don’t care that much about the follow/no follow status. All work fine. I think it comes down a lot to the scale of the outreach. Mailshake and Pitchbox have a good rep.
Buzzstream is great for scaling things up a lot. I use Buzzstream at my agency. This is one of the most effective and comprehensive posts I have read in ages. I had to retweet and pin it cause it really deserves it. Thanks for all the hard work Robbie! One of the best tutorial for learn link building methods. These kinds of stuff are fantastic to learn and work it out for our growth. Thanks a lot for sharing with and keep it up. Good job. 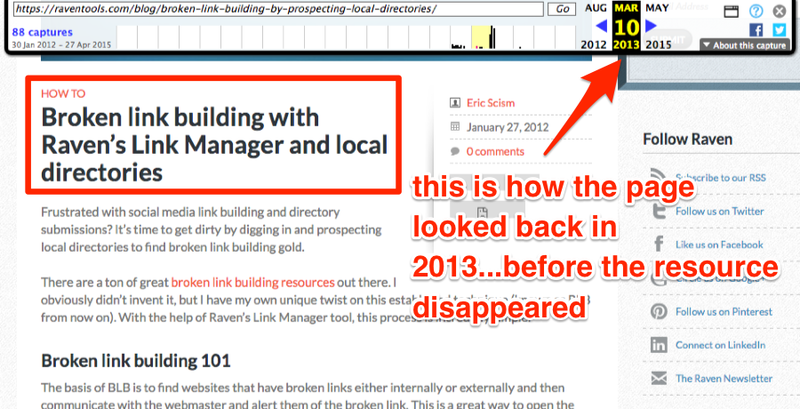 This is the most comprehensive post I ever read on linking building…….thanks for sharing. Its a great article but why is it only promoting ahref. Are there any free tools also to check what we can check in ahref? I promote Ahrefs because it’s honestly the tool I use to run the bulk of my link building campaigns these days. There are some free tool out there that will give you some limited link data, but nothing close to what you can get with a tool like Ahrefs. Well, I started to read this article earlier today. Now,I’ve noticed there are comments from 2014 and the first thing I said, why I didn’t read this blog before? I’ve missed tons of useful materials. Great tips! I really enjoyed each paragraph. A good work always require time and effort, and a smat mind as well! Thanks for sharing and I’m subscribing for upcoming great tips! Thank you very much on this article. It is one of the most informational I’ve read in some time. I’ll definitely share/recommend it to all of my coworkers. One question, tough. When building links with Quora strategy, do you recommend to put several links into your answer (besides your own)? I like to keep the links minimal. But, in some cases, including a few additional resources makes complete sense. Hello, thank you for this great article. I will definitely share it on my FB wall & follow your future work. Thank you on a very explanatory text. Some of the strategies I already implemented on my blogs and I hope to see some results in the next few months. Extreemly helpful! I read your article from the beginning to the end and I think, I learnt lot of stuff from this article. Thank you for sharing such a detailed information. Keep up with your good work. This happens to be the best blog post I’ve ever read on link building strategies so far. I’m applying each and every strategy you’ve put up here and i hope to get wonderful results. Thank you Robbie. Thanks Edem! Let me know how it goes for you. For new website like mine, I think I need all these trategies to improve my search. Its just two weeks and no google traffic yet. thanks for this awesome guide for Link building . now I am using these tips for backlinking let see. I will share with you my success story :p.
Hello & thank you for this guide. I really like Quora link building hack. Cheers Jakow! Glad you enjoyed the article. Great, some really innovative local link building approaches there. Will definitely be giving these a go! Glad to hear it, Rohini! 🙂 Robbie, It was a one of the great in-depth post and thank you so much for sharing, You have explained everything here for backlink building. I was wondering if you could share a post for every link building strategies response rate? I hope you will include this point in the future post. Great work you did Robbie. Glad you enjoyed the post, and thanks for the recommendation. I can look at including some of that data in the next update. What an amazing post! I read it once sometime last year, and just read it again after I discovered you’ve updated the content. It still blows my mind how in-depth and valuable you went with this post – anybody can build amazing links NOW with the step-by-step instructions you’ve given them. What’s the first tactic you’re going to use? Cheers Vikas 😉 Glad to hear it! That was a great list of link building techniques available currently. I really liked your explanation about Quora link building. Quora has 50 Million estimated visitors per month, so its definitely a great platform to get more exposure. Thanks Rajesh! Glad you liked the post. Some really good link building strategies there Robbie! Definitely, put these to use – Keep up the good work! Excellent article with unique information. I agree with this information. I learn something new today and unique. Thank you for sharing. Your in-depth posts are some of the most helpful I’ve read in my many years of reading about SEO. I believe I need to hire an assistant to keep up with your suggestions! Thanks, Robbie. Much appreciated. Thanks a lot for this article. I was considering The Hoth for our site as well. Lots of affiliate websites use their service and I think for some it provides value. However, building out an internal system for white hat link building is the best long-term. Yup – I’d recommend going down the white hat road if you’re looking to build a long-term property. Thanks for Sharing excellent Information about “link building strategies”, I love your article. I will definitely share your article on my social networks. Again thank you! All these tips are handy for me. I have personally used three or four of these methods. If I use all of these methods, then PA and DA increase so high and im sure of it. These link building methods are recommended from every SEO experts. All of your contents are very interesting and I gained a lot of good things from you. Excellent links building guide. I have tried the linking out strategy and it works great! Most would be happy to return the favour. I’m a blogger, I write about Stock Market in Hindi Language. If i create backlinks from English Blogs & Website. than those backlinks that i created from English Websites helpful for Me? because i write articles in Hindi language. Glad to hear that, Raj! This was the indeed killer. What are your views on .Edu scholarship link building strategy? You looks the greatest digital marketer, better than others, i never read this kind of dept article about anything, you have written in extremely planned, systematic and Explained techiniques. Man!!! I am blown away with this really killer link building strategy. I really liked the last one “Video Transcribing”. Thanks for your valuable time to sharing this gold mine information. I searched for about 2 hours to find a post that focused on link building tactics that everyone else isn’t talking about, specifically deep link building tactics. I want to give you a sincere thank you for this post, it’s absolutely amazing and gave me ideas I never thought of before. Great Post Robbie, I think this link building technique works well in 2018 and beyond. explain well keep sharing valuable information.I have a question after getting EDU links its remove after a couple of months any strategies that EDU link does not remove. Thanks! Yes – you’ll need to set up the scholarships to renew each year in order for them to stay live. It took around 10 hours to read this article. I read some points again and again to get clear views of concepts. I read thousands of articles on the Internet. This is the only blog where the number of words is extremely high. You are an awesome blogger and researcher. Thank you for writing such long and mind-blowing articles. Hey! This is such an incredible post that carries great value. Thanks for sharing these helpful and great techniques. Excellent link building strategies Robbie. Great article, was very interesting to read. Great article, but i have a question. Is membership of ahref worth buying? Yep! Especially if you do any level of link analysis and/or keyword/ content research. Great tips about the buliding strategies. Very well expalined with proper images. It clears all the small confusions very well, I can spend more hours for reading this article. i have spend many hours in searching and finally I got this site. Really awesome link building strategies. I will use all the strategies to build link for my website. Phenomenal post and huge insights especially for the beginner in SEO like me. I was into paid marketing from years but never seen SEO the way I see after starting my blog. I am glad to see that quora strategies are listed here. Currently, I am only following that strategy for link building. Also, do these paid tools worth to subscribe to especially when you are a beginner and don’t have a lot of content on your blog? Hey Alok! I recommend the Lite version of Ahrefs to start. Especially if you are planning to get serious about growing your online properties. This is by far the most useful article on link building strategies I read so far. I just spent an hour to find some practical link building strategies and techniques which I can use for my new site and also for my clients. But most of the articles from so-called Best Link Building Experts or SEO Gurus are explaining same things with a bit in a different way. I also find a lack of explanation i.e. how to do it exactly to get the best results. But here, I really find it very helpful and well organized. Now I am going to take a look at another post about link building audit to learn more important things. So much scrolling…. Nice content put feels like this could have been much shorter in terms of writing writing and formatting. Gotta bump up that dwell time though. Thanks Anthony 🙂 Appreciate it! I have read all your blogs mainly which are focused on best website link building strategy and every time, somehow you manage to bring new things to learn. Thanks for your great post. I recommend starting with a free or low cost WordPress theme from Themeforest. Install it on a free WordPress.org instance. You can get a nice looking site up and running with relatively little cost. Worry about the more advanced configuration, design etc once you get things started. Robbie, I’ve got an even better way to do this – and I meant to write you months ago. I built my own stock photo library on Flickr with 700+ photos (and infographics) to be used freely online via a Creative Commons 4.0 license. And I needed a much more efficient way to track that volume of images so I automated it. A free Pixsy account lets you upload 500 images—more than enough for most people—and the software will perform monthly scans and find matches out there on the web. It will list out the URL where your image was found and the exact address of the image itself. From here you can quickly build lists of people you need to contact to reclaim your links. Awesome stuff, Jason! I’ll take a closer look this week. Thanks for sharing! Man you’re good at this, I subscribed to your blog some days back hoping to get from fantastic content. Guess what you did it I enjoyed every bit of this post as it add to my knowledge of link building strategy. Thanks, Robbie for this amazing article. I’ve been following your RLR link building tips from the past two months, and I am seeing good results. Thanks for putting this article together. Quite a few tips here I hadn’t come across! This post was truly helpful, i just had one question. Is it still possible to rank without backlinks? Yep – in less competitive niches OR if you have a ton of Domain Authority. But, in most cases you some type of page-level authority driven by backlinks. There are a lot link building techniques out there. Most of the quality links are hard earned links and can consume a lot of time, but is still worth it. Great list of tips you have here, Robbie. Cheers! Your blog is awesome. I love to read your post. I appreciate you to continue your hard work. Thanks for sharing your knowledge. I appreciate you to continue your hard work. thanks for the sharing these mindblowing techniques for link building. Some are the techniques are new to me. these will work great in improving the ranking. I looking forward to more and more killing strategies like this. Thank you for fresh SEO updates. These strategies do work Robbie. Half of them used befor. Now will try the big G alerts trick! Much love. You never cease to amaze me, Robbie! I am an amateur SEO and work for a company that utilizes major grey hat seo techniques (to say the least) but learning from your articles (especially the backlink articles) always gives me great information on how to generate quality backlinks for my side business. This is an amazing guide with great depth. Thank you again Richard I will be applying these to my new website to help grow it as quick as possible. Great reading and extremely comprehensive post. Thank you so much for all theses resources. Its funny how most haven’t changed over the years at all but fewer people seem to know or remember them. Great Link Building Strategies. Loved the detailed way. Great Job. Great post to read. I like the strategy of comment and guest post (template you used). I previously thought comment was risky, May I know is comment link building risk of penalizing? The way you explained is awesome. I can used it and think on it from now on. Hi Rahul! As long as you approach it from the right angle of giving value on relevant quality sites, you’re fine. As with anything, it should not be spammed purely for links. Thanks Robbie for your help. Thank you for sharing all techniques, as a beginner, I would like to know, is it ok If i will start with Bog comments and later try other strategies, I hope it will not be consider as spam, I am taking about comments on releveant and on quality sites. Hey Usman! I would not just use blog comments to start. Be strategic with this strategy, and think of it in terms of branding/ traffic potential over link equity. These are going to be nofollow links in most all cases, so the “link juice” is not really there. I’d first start with reverse engineering your competitors to see which content types and link building strategies are netting them the most links. What a excellent piece of content ! Loved the way the article is written. Indeed a “killer” blog post 🙂 it took me more than an hour to read it and I am an avid reader. For me you brought to light more than a thing or two I didn’t know about linkbuilding. Just one curiosity. In your experience which of these tactics brought the best results? If you would have to pick just one tactic, which one would be? Hi Lorraine – I always start with the low hanging fruit like 404 link reclamation and unlinked mentions. Then, I transition into competitor link replication. Thanks for such a excellent post. The way you explained is awesome. I have read the post and it’s very useful to me. Very useful and great stuff about link building techniques.Thanks for sharing with us. Hi Robbie, Thank you for such a great article, I know link blinding is the most important part to improve the rank. Your article help me a lot in link building and there are many strategies in your post which are new for me. i am definitely going to bookmark this blog and share it with my SEO friends as well.